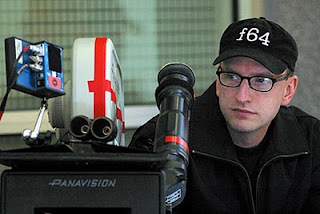 Open Thread: Is “The 100 Essential Directors” List Too Snobby? Here at Flavorwire, we’ve learned (and continue to be reminded, on an almost daily basis) the pros and cons of making a good list. On the plus side, people love to see pop culture artifacts piled up and stacked against each other; it starts conversations and stirs passions. On the minus side, selecting and ranking beloved films, television shows, albums, books, musicians, etc. is just asking for trouble—what begins as starting conversations and stirring passions can become a melee of second-guessing, judgment, and sometimes even name-calling. So our sympathies and admiration go out to the fine folks at Popmatters, who have spent the past several weeks compiling a list of “the 100 essential directors,” and thus opened themselves up to the inevitable Monday-morning quarterbacking of film fans, a notoriously hard-to-please bunch. The site’s editors wisely avoided the most bitter arguments by running the list alphabetically rather than in a ranked order; it’s a move that also spread out the angry “What about….” comments throughout the series’ run, rather than all at the end. But now that we’ve had a chance to look at the whole thing, as you have, there are some, well, puzzling choices. One of the many pleasures of Drive, Nicolas Winding Refn’s slick new art house/action hybrid (opening in select cities this Friday—and as Letterman likes to say, we sure hope your city has been selected), is the masterful performance of the great Albert Brooks. The comedian/filmmaker/comic actor (and, most recently, novelist) plays the film’s villain, a hard-boiled gangster type; Brooks harnesses his groggy weariness (that raspy voice has seldom been so well-utilized) and that impatient anger that’s always percolating under his best work. He’s unexpectedly chilling and effective. His top-shelf work got us thinking about other actors who took on villainous roles and, whether due to their good-guy personas or comedic backgrounds, took us by surprise with their ruthlessness of their darker turns. We’ve rounded up our picks after the jump. As we may have mentioned a time or twelve, we’re less than pleased that we had to go an entire summer without a new season of Mad Men. While we’re waiting for its postponed winter season premiere, however, the fine folks at NBC and ABC have been kind enough to offer up some alternatives—and hey, look at that, they just so happen to each have a show set in the early ‘60s, all full of vintage styles and attitudes! Television is a business, of course, so it would stand to reason that networks would want to hedge their bets by giving viewers more of a good thing they like. More often than not, however, TV’s copycats fail—because viewers see right through the ruse, and because the reason they liked the trendsetters was that they were new and unique, unlike the other stuff on the tube. After the jump, we’ll take a look at some of the most blatant Xeroxes in TV history. Woodstock. McCabe and Mrs. Miller. Klute. Dirty Harry. A Clockwork Orange. What’s Up, Doc? The Candidate. Deliverance. Super Fly. Scarecrow. Enter the Dragon. Mean Streets. Badlands. The Exorcist. Blazing Saddles. Alice Doesn’t Live Here Anymore. Uptown Saturday Night. Night Moves. Dog Day Afternoon. The Man Who Would Be King. All The President’s Men. The Outlaw Josey Wales. The Late Show. Oh God! The Goodbye Girl. Straight Time. Superman. Going In Style. The Great Santini.That astonishing list of 1970s films—iconic, intelligent, commercial yet daring—is much of the legacy of John Calley, who died Tuesday morning at age 81. Welcome to “Trailer Park,” our regular Friday feature where we collect the week’s new trailers all in one place and do a little “judging a book by its cover,” ranking them from worst to best and taking our best guess at what they may be hiding. We’ve got ten new trailers for you to feast your eyes on this week; check ‘em out after the jump.